WHY OIL RECLAMATION IS IMPORTANT? Transformer oil reclamation restores the oil’s properties to like new condition. The oxidation stability of the reclaimed oil is greatly improved when the process is combined with inhibitor injection. Protects the Environment because of reduced risk of oil spills and there is no waste oil that needs to be disposed of. New Oil Costs are greatly reduced since only a small percentage of the oil is lost in the process. It is estimated that in 2010 as many as 40% of the world’s electric power transformers were more than 25 years old. That figure is even higher for Europe with approximately 60% of transformers in European countries reaching the end of their expected service life that ranges from 25 to 30 years. Unless something is done, transformer failures will become more and more common. Data available from National Grid companies worldwide, indicate that the most common cause for transformer failure is the degraded and damaged cellulose insulating paper that surrounds and protects the transformer core. An ideal solution might be to simply replace of all of the old transformers with new ones, but this requires considerable investments in time and money. It could also bring an unwanted disruption of electric power service to residential and business customers. Moreover, replacement of power transformers is a very complicated and cumbersome logistical undertaking. Most, if not all, of these transformers were custom made on an individual order basis. Lead times for replacement may be as long as one year. The service life of most transformers however, can be extended if timely preventive maintenance procedures and programs are implemented. Ideally, a sound preventive maintenance program should be implemented early in the transformer life cycle, but even older transformers can benefit and experience an extended service life with the GlobeCore Process and the GlobeCore Service Life Extension Program. Regeneration of transformer oil, using the GlobeCore Process can extend average transformer service life by 25 to 30 years. As a transformer’s insulting oil ages, it oxidizes and begins to break down giving rise to by-products that produce sludge, acids, and other undesirable contaminates that attack the chemical bonds that hold the cellulose insulation together. In other words, the insulating oil becomes aggressive towards the insulating paper and begins the extremely detrimental paper degradation process that can ultimately end in a catastrophic transformer failure. The GlobeCore Transformer Oil Reclamation Process will remove both the sludge and the sludge forming by-products from both the oil and the cellulose insulation, thereby stopping the paper degradation process. If the preventive maintenance process is started early enough in the service life of the transformer, the paper degradation process can be greatly slowed, or even be prevented. The key to preventing paper degradation is to perform the GlobeCore Process before the oil’s “Acid Number” rises above 0.08. A good oil monitoring and oil analysis program will allow you to schedule transformer maintenance on a “just in time” basis and can help you avoid neglecting important preventive maintenance events and dates. The GlobeCore Regeneration Process, or simply, the GlobeCore Process, utilizes the principle of sorbent reactivation when regenerating transformer oil. The industry leading GlobeCore CMM-R units automatically reactivate the Fuller’s Earth sorbent materials after each regeneration cycle or when they reach full saturation during any point in the regeneration process. This enables the re-use of the sorbernt materials over and over again without the need to replace and dispose of used sorbent material after each regeneration cycle. This allows for continuous regeneration without time consuming maintenance interruptions thereby reducing servicing times and costs. The GlobeCore Process saves time, money, and protects the environment from unwanted sorbent waste materials. Transformer Oil serves as a cooling medium and an insulating material. Oil, together with the Kraft Insulating Paper and thick cardboard spacers protect the transformer and allow the transformer to perform even under severe electrical surges, vibration, shorts and other stressful events. There are a number of different aging processes that affect the oil and the paper, but the paper is the most important part of the transformer that must be protected. If the paper fails, the transformer fails. Transformer oil consists mostly of hydrocarbons (more than 99%), a mix that is similar to conventional diesel. The oil’s minor components however, which constitute less than 1% of the oil, have the greatest impact on the oil’s operating properties and performance capabilities The Oxidation Process is the most common cause of oil decay. It is a highly complicated process because oil oxidation and paper degradation are connected with each other. The paper however, depends heavily on the oil to control and keep the level of damaging contaminates circulating into the paper down to a minimum. Transformer oils can be divided into two categories: inhibited transformer oil and uninhibited oils. inhibited transformer oil contain synthetic anti-oxidants, while uninhibited oils rely on natural sulfur anti-oxidants that are usually present in less refined oils. Inhibited oils normally have a longer life cycle, but inhibitor content still needs to be monitored throughout the oil’s service life to keep the inhibitor additives at a sufficient level. This requires implementation of monitoring programs. Transformer suffered catastrophic failure due to damaged insulating paper as the result of neglecting timely preventive maintenance Water, acids, and sludge, produced during the oxidation process, are the most harmful compounds for your transformer’s insulation system. Sludge is a highly polar mixture of contaminates that do not dissolve in oil and instead, settle in the transformer tank and find their way into the components of the insulation system forming deposits. These undesirable sludge deposits prevent the normal oil flow within the transformer and can cause the transformer to overheat even with low outside air temperatures. Acids are formed and grow in strength and begin to attack and degrade the copper parts of the transformer windings. 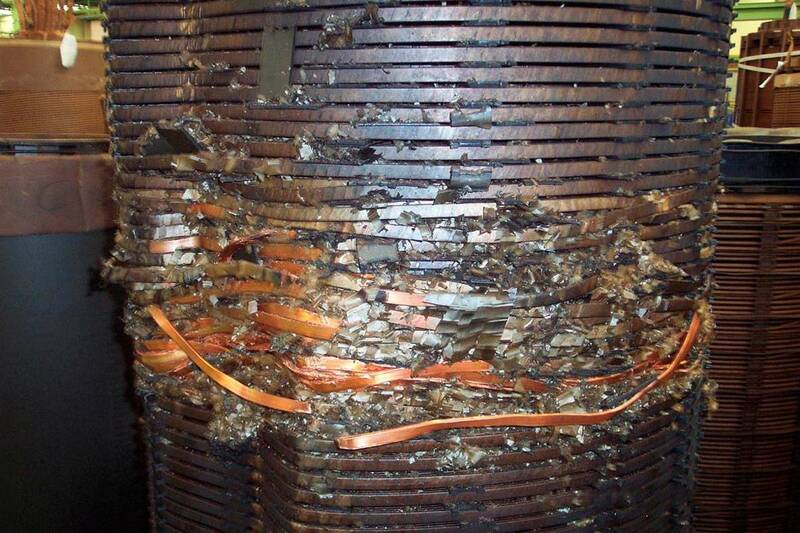 The copper windings then begin to experience corrosion which leads to subsequent transformer failure. Additionally, the acids become aggressive towards the insulating paper and as the acid number in the oil rises, the paper degradation process begins to accelerate also leading to transformer failure. The Service Life of the transformer insulating paper is highly influenced by water and acid content in the oil and the paper itself. The Insulating Paper contains the majority of the water and moisture found in a transformer. The amount of water and moisture found in the oil is relatively small (especially if the oil is purified regularly), compared to what is contributed to the degradation of the insulating paper by the water content of the paper itself. Water content in the oil can be easily measured with the use of moisture sensors, but measuring water and moisture content in the paper is much more difficult to determine directly. Insulating paper consists of Cellulose, Hemi-cellulose and Lignin as its main components. It is the degradation of the “Cellulose” however, that has the most significant impact on the paper’s strength and its ability to protect the transformer. Changes in the paper’s physical properties are the main causes of concern, as they directly affect the paper’s ability to withstand short-circuits and vibration stresses. 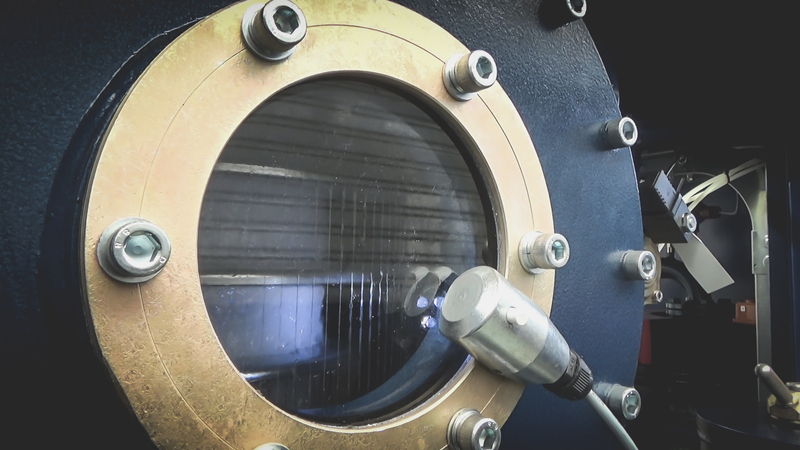 Excessive water content also negatively influences the dielectric strength of the oil, but the oil’s water content can be reduced by application of timely preventive maintenance procedures and the oil can be restored. On the other hand negative changes in the paper’s physical properties are impossible to reverse. The paper degradation process can be stopped with the GlobeCore Process, but any damage done to the paper before stopping the process will remain present. The IEEE has determined that a transformer is at, or is near, the end of its service life when the insulating paper has lost 75% of its tensile strength or “DP” value. Beyond this point, the transformer may not be able to reliably withstand the next overload surge or short circuit. Since the life of the transformer is directly related to the life of the insulating paper, it is important to protect the paper by removing the water, moisture and other undesirable contaminates from the insulating oil and the insulating paper. This action must be taken before the paper becomes damaged and unable to perform its job. There are number of maintenance procedures to address the problems discussed above. They include, but are not limited to oil changes, oil purification, and oil regeneration in conjunction with oil monitoring and oil analysis programs. Decisions should always to be made on a case-by-case basis and should use as much information as possible, including any data from DGA oil tests and continuous gas-in-oil monitoring. Oil Purification is “a process that eliminates or reduces physical contamination by means of a physical cleaning processes including filtration, dehumidification, degasification, etc.” Typically, oil purification uses a combination of a mechanical filtration process and a vacuum degassing process. It can be done with the transformer off-line or on-line. The oil purification process normally results in the efficient removal of particles larger than 0.2 micron and the removal of most of the dissolved water and gases in the oil. The process is usually sufficient to correct low electrical breakdown voltage caused by a combination of particulate matter and high water content in the oil, both of which are a fairly common in aged and used oil. In order to preserve the insulating and heat transfer capabilities of the oil, it is necessary to carry out such a treatment on a scheduled maintenance basis. The Oil Purification Process however, is not a long-term solution for a wet transformer since only a small fraction of the total water content of the transformer is removed via this process. That is because up to 97% of the water and moisture is found in the insulating paper and the purification process will leave this water behind because it does not treat the paper. To obtain a significant reduction of the water content in a transformer a more powerful process, namely Oil Regeneration, must be applied. The main principle of Oil Regeneration is to cleanse and purify the insulating oil by pumping the oil through a sorbent material such as Fuller’s Earth. During this process, the oil undergoes “molecular filtration” in the micro porous adsorbent material. The By-Products of oil aging (burnt deposits, hydro-peroxides, ketones, carboxylic acids, aldehydes, phenols, etc.) are removed and stay in the Fuller’s Earth granules. Fuller’s Earth is a naturally occurring clay that poses no environmental danger and can be disposed of as a construction waste after its absorbing properties have been exhausted. GlobeCore regeneration units utilize the GlobeCore Process and are designed to operate with multiple sorbent filter columns. The columns can be either in oil filtration mode or adsorbent reactivation mode. As oil processing proceeds, the regeneration unit will switch between oil regeneration and sorbent reactivation. The switch takes place automatically when the absorbent has accumulated a certain amount of contaminants. This feature is managed by the Supervisory Control and Data Acquisition System (SCADA) and allows the regeneration of oil to proceed continuously without stopping to replace and dispose of spent sorbent material. Summary of Typical Oil Parameters before and after Regeneration using the GlobeCore CMM-R Transformer Oil Reclamation Unit Reactivation of the sorbent is fully automated and enables the GlobeCore Regeneration Unit to process oil using the same Fuller’s Earth up to 300 regeneration cycles. This gives the regeneration unit the ability to regenerate transformer oil for between 2 and 3 years before sorbent replacement is required. At the final stage of of the oil regeneration process an inhibitor additive can be injected into the processed oil. The optimal volume of the inhibitor injected in the oil is between 0.3 and 0.4% of total volume. The “Inhibitor Additive” is dissolved in a small portion of regenerated oil and pumped into the main flow from an inhibitor block that is part of the regeneration unit. GlobeCore Oil Regeneration units treat any mineral oil and restores that oil to the same or better condition then when the oil was new and unused. Oil Regeneration using the GlobeCore Process provides a better and lower cost alternative to oil replacement as treated oil parameters in most cases surpass those offered by new oil as can be seen in the table below. The use of Fuller’s Earth for regeneration of transformer oil dates back to 1965 when it was first used in the USA and the UK. In 1990, Fluidex Ltd, a South African engineering company, developed modern mobile regeneration plants utilizing an automated sorbent reactivation processes. Since then, they’ve been used by leading maintenance companies including ABB, SD Myers, and General Electric for regeneration of oil in thousands of transformers worldwide. In 2009, the Oil Regeneration Technology was transferred from Fluidex to GlobeCore where the line of oil regeneration equipment was redesigned, improved, and perfected to make it the world’s most advanced and reliable line of oil maintenance equipment available today. The Table below shows average data from more than 200 transformers treated by ABB in Norway and Sweden with 3 mobile regeneration units. This Table includes data for unused mineral insulating oil (from IEC 60422) to enable the effectiveness of the regeneration process to be seen. Oil Regeneration, as compared to oil replacement or purification has several attractive and cost saving features. Although safety considerations require the de-energizing of the transformer while connecting and disconnecting the regeneration plant to and from the transformer, it is recommended to carry out regeneration on the transformer while it remains energized. This means a greatly reduced risk of disruption of the power supply to your customers. From a technical perspective, recirculation of oil within a transformer using the GlobeCore Process removes traces of old oil and contaminates from the paper insulation. In the case of oil replacement, there will be a significant amount of the old oil (up to 15%) that will remain in the windings and insulating paper that will contaminate the new oil. The transformer’s insulating paper acts just like the paper in a car’s oil filter, it filters out contaminates from the oil and retains them to its own demise. These acids and contaminates will dissolve into the new oil shortly after oil replacement reducing the effectiveness of the timely and expensive oil change. The GlobeCore Process will remove the water, moisture, acids, and other contaminates from the oil, the windings and the insulating paper without the need to replace and dispose of contaminated oil. Regeneration restores the oil’s properties to like new condition. The oxidation stability of the regenerated oil is greatly improved when the process is combined with inhibitor injection. Protects the Environment because of reduced risk of oil spills and there is no waste oil that needs to be disposed of. New Oil Costs are greatly reduced since only a small percentage of the oil is lost in the process. No waste Oil disposal costs. It preserves precious resources by eliminating or greatly reducing the need to use large quantities of new oil. Labor costs are minimal since the GlobeCore CMM-R units only require a one man crew. Saves time over the traditional oil change process. The GlobeCore Process can be performed in one and five days depending on oil acid levels. Thousands of transformers have been successfully treated with the GlobeCore Process worldwide. GlobeCore GmbH is one of the world leaders in industrial manufacturing. 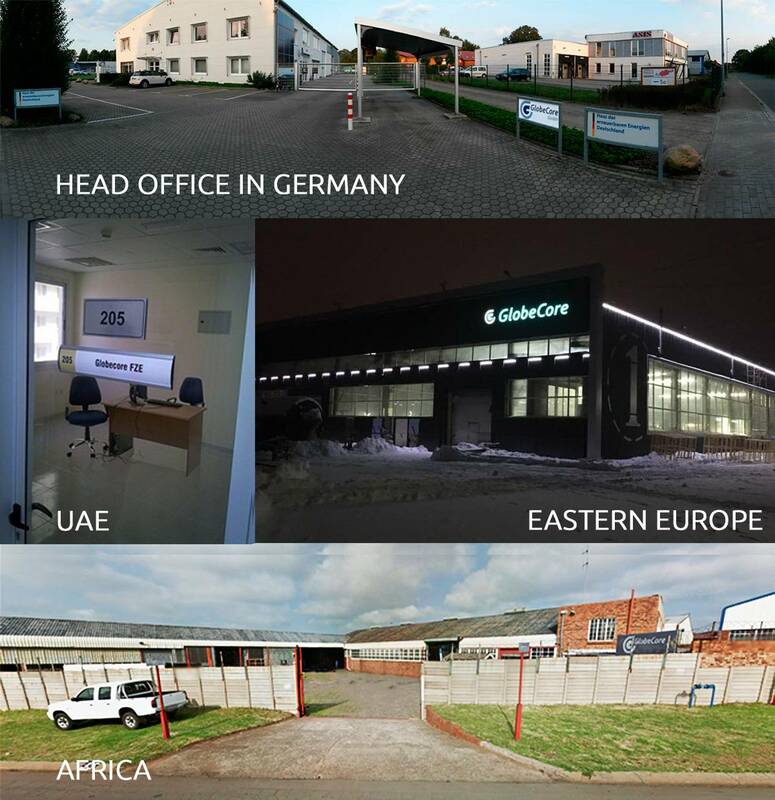 Products of GlobeCore are used in transformer oil purification and degassing, insulation oil filtration,transformer oil reclamation, power transformer vacuuming.The head office is located in Oldenburg, Germany. Our systems have been supplied to and are successfully operated in 70 countries. A network of 17 dealers supports global sales and services. GlobeCore established representative offices in United States, and South Africa and in United Arab Emirates to extend reach and improve efficiency. We actively expand production and sales territories, develop our infrastructure and introduce new additional services. GlobeCore today is a large and diverse company. Over 260 specialists are working as a team from metal cutting to final assembly of the products. The production facility is equipped in compliance with international industry standards: it features robotic plasma metal cutters, automated welding systems and modern PLC controlled machinery. 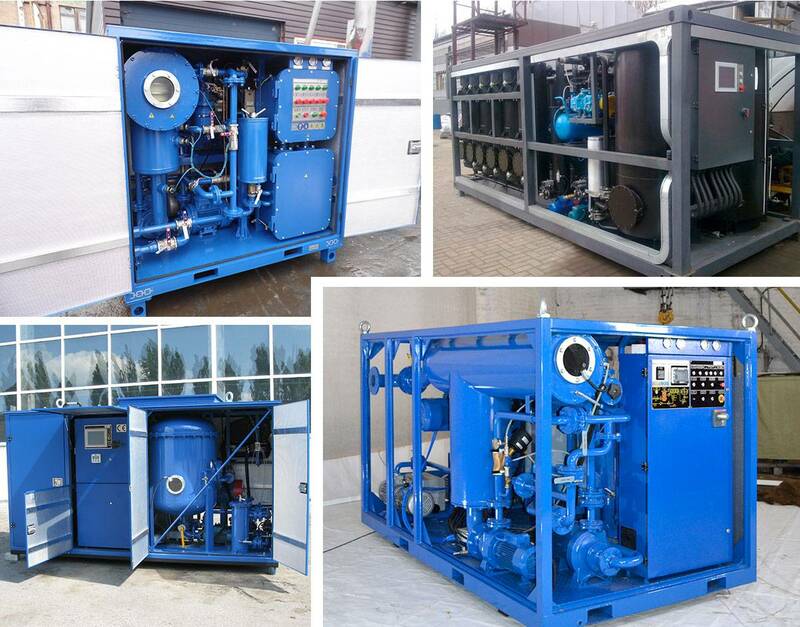 The engineering staff systematically develops new oil purification equipment and improves existing product lines. GlobeCore produces hundreds of units annually and each product is thoroughly tested at the company’s testing facility. Hundreds of grateful letters and comments from our clients confirm that we are moving in the right direction. During the company’s long life we have established numerous contacts and created a vast network of return clients. And we are not stopping. GlobeCore is open for potential consumers and extends an invitation to all to visit our facility.